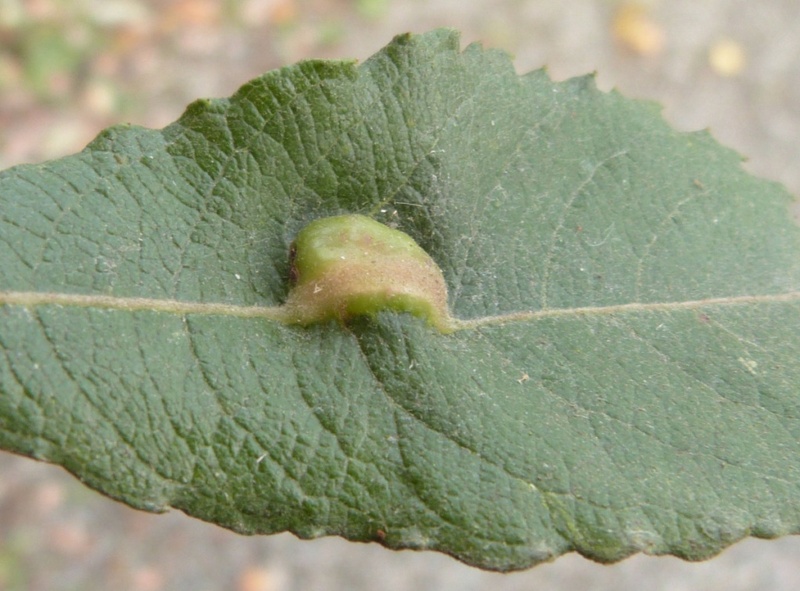 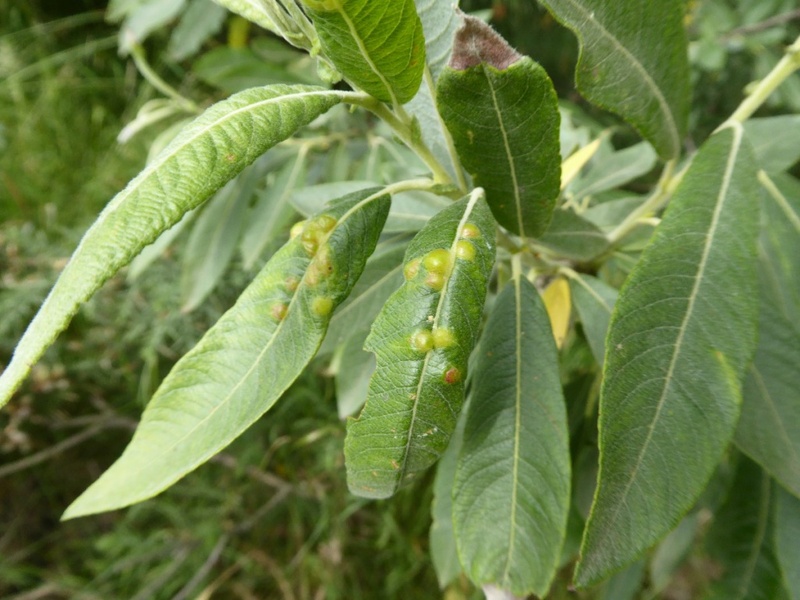 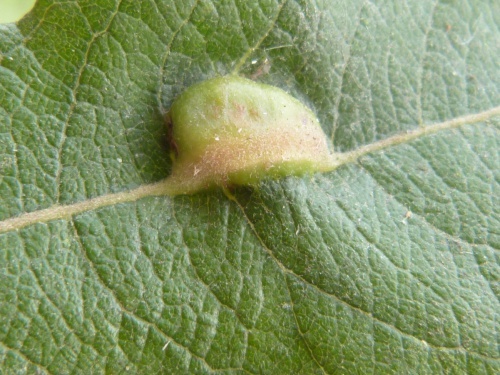 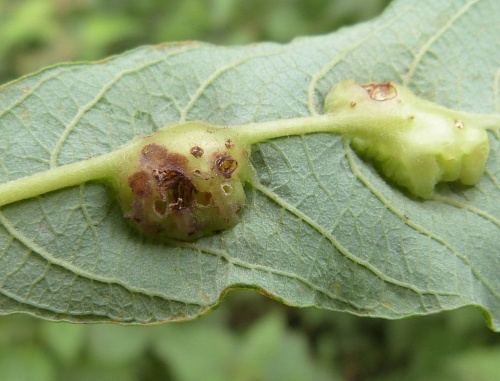 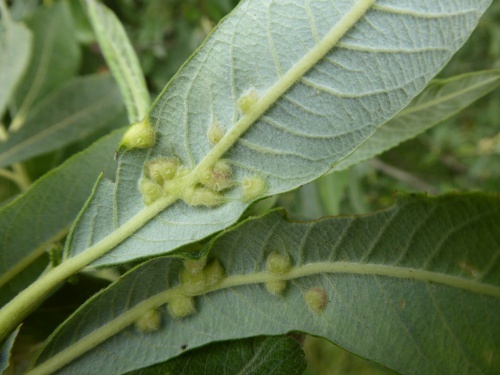 The gall midge Iteomyia major causes galls to form on the leaves of willows (Salix sp.). 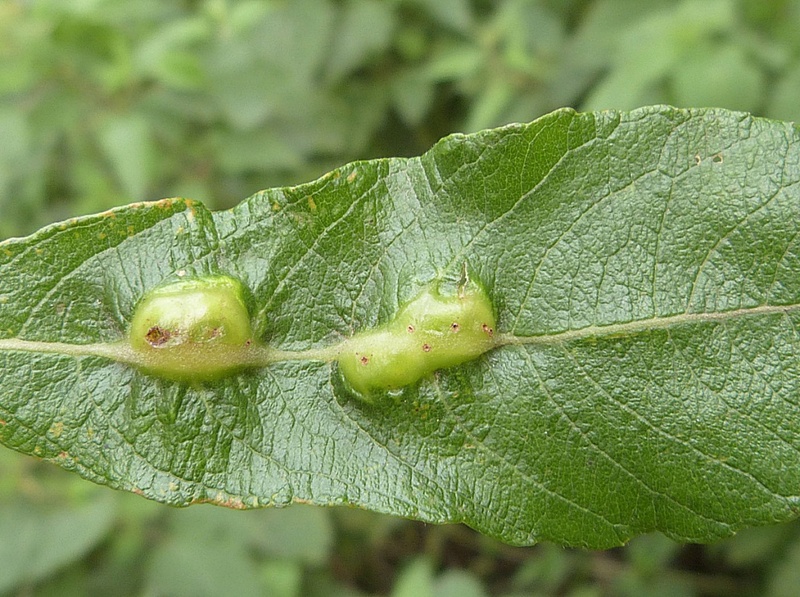 These take the form of a coalesced group of 2 to 10 hard, round pustules containing larvae which are white when young but later orange or red. 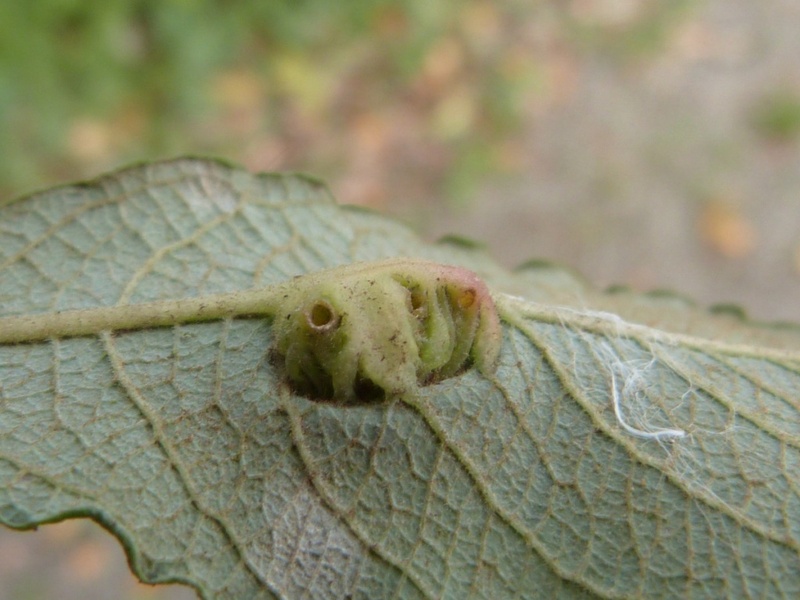 Where the host plants (willows) are found. Whenever the host willows are in leaf.